I was warned by a couple friends when I was pregnant that mommy groups can we super competitive and to avoid them. I definitely didn’t want to compete with other mamas but I needed a #momsquad. I needed to talk to people who were in the same boat as me. And frankly, I needed friends in our new town. I moved when I pregnant and knew no one. To make matters worse, I work from home so I didn’t even have the opportunity to meet people in the office. I needed to see for myself how the groups actually were. The first group I joined was my Fit4Baby fitness class. 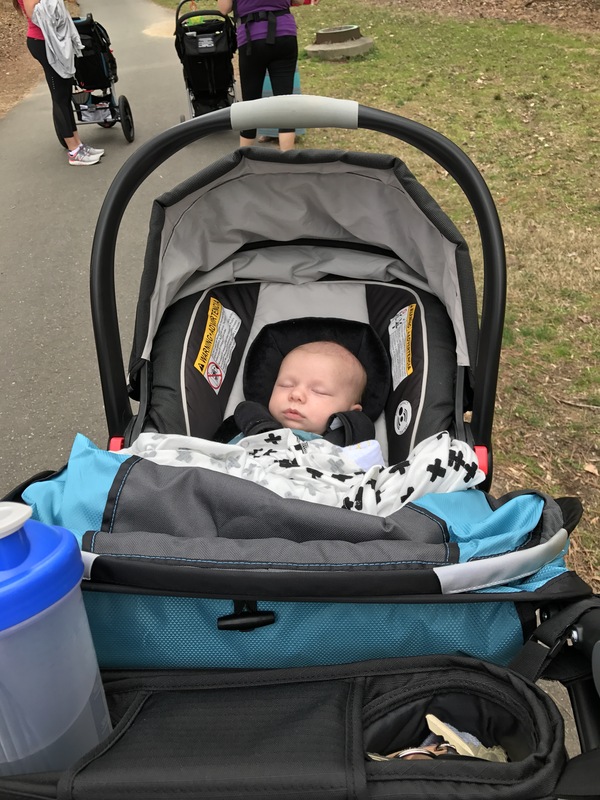 I needed to workout while I was pregnant so it was perfect. 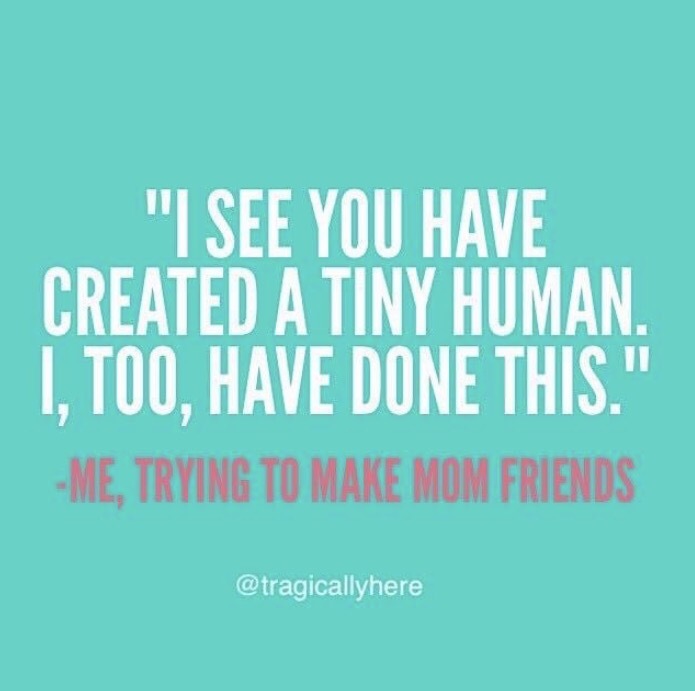 After I had Liam, I started attending the MOM (mentoring other moms) group which turned into a walking group, which turned into blanket time at the library and so on. So now I have all of these touchpoints with other moms who are in the same stage as me and experiencing all the same things. And not once have I felt a sense of competition. I’ve felt encouraged, supported, and like I’m not crazy. We’re in the same boat and rowing together. I feel bad for moms who have experienced any of the competition or shaming I was warned about. No one needs that when you already have so much going on internally (hello, hormones!) and are navigating life with a newborn which isn’t easy at all. I’m so grateful for each of the women that I’ve met and for them being willing to share their stories and experiences so that we can all connect and know we’re not alone. We shared our birth stories one day and it was almost a relief to hear that I wasn’t the only one with a semi-traumatic experience! Not that I wish that on anyone else but it was such a relief to hear that those people knew how it felt and I wasn’t alone in my feelings. One of the best things that came out of it was that another mom told me her midwife said to her: “you experienced it. You need to talk about it, know that your experience was real but then move on.” I love that and it was exactly what I needed to hear. And I wouldn’t have heard that if I haven’t joined mommy groups and started building this community. It has been nice to get out of the house a few times a week (while Landon is working) for something other than walks. While Liam can’t really enjoy the company of the other babies just yet, I sure do enjoy their mama’s company. Another great thing about these groups is that many of the other mamas have recently moved to the area, too. So we’re all figuring out this Chapel Hill-Durham-Raleigh mom life together. I’m excited to see these babies grow up and for our community to continue to grow.